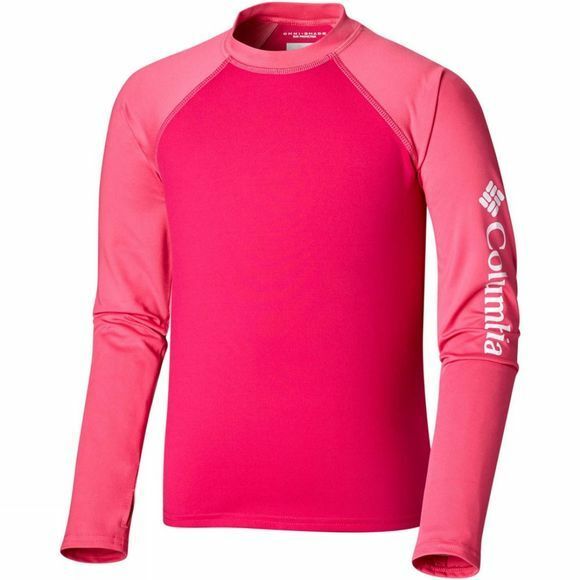 Young adventurers can play in the water for the sunniest summer days in this Columbia long-sleeve tee-shirt with a built-in UPF 50 sun protection to ward off harmful UVA and UVB rays. 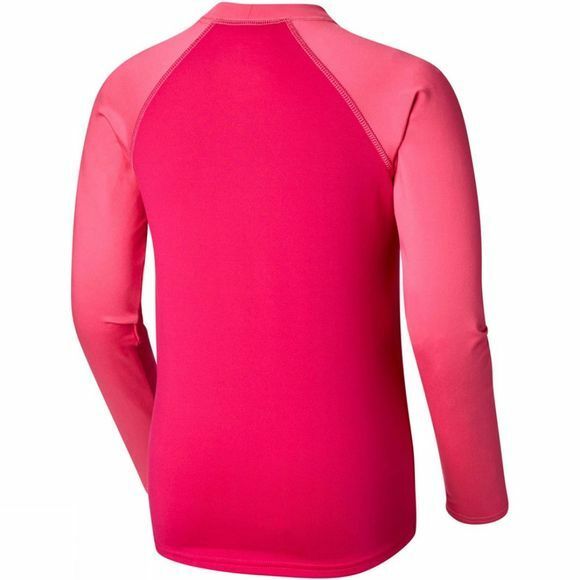 It also features a wicking fabric to quickly draw moisture away from the skin.With thumb holes. Large Columbia logo on the left arm.